L548 heads back to the Manitowoc yard with 1. 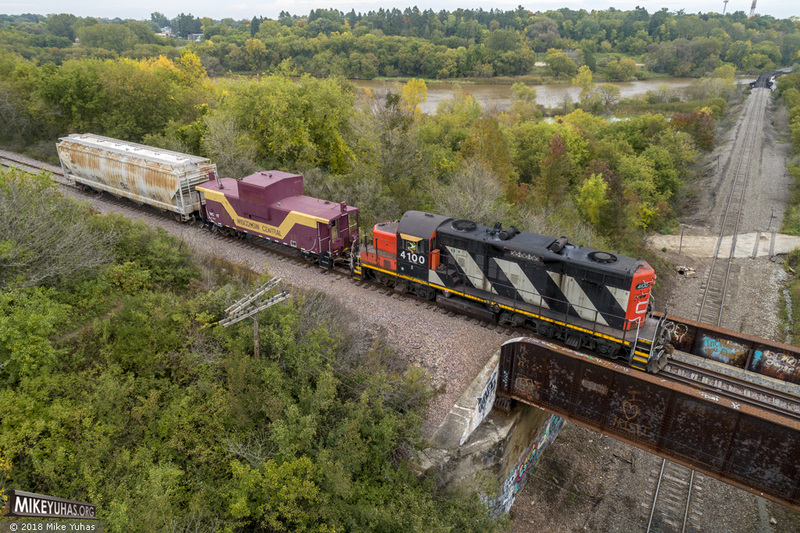 Train is on the former Chicago & Northwestern Lakeshore division, now known as the Canadian National Rockwood spur. It's about to pass over the former Soo Line Manitowoc branch, now CN's Manitowoc subdivision.